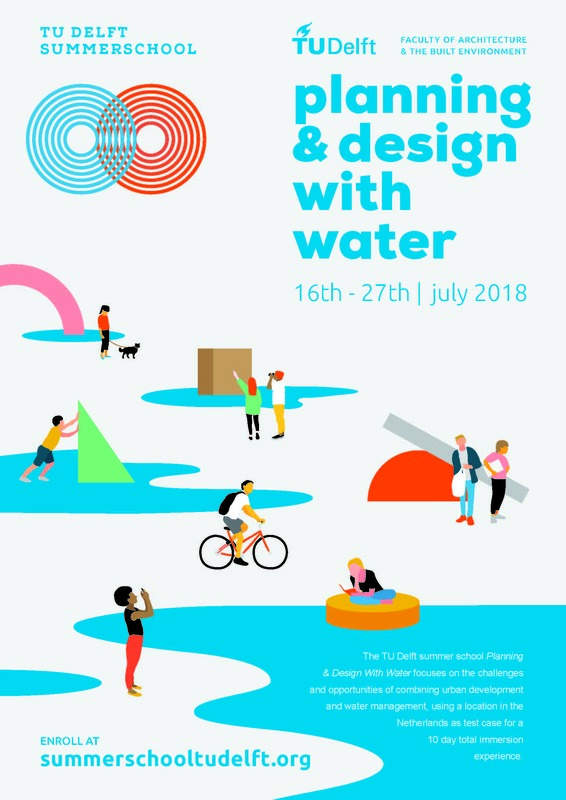 Delft Global and the department of Urbanism invite young African teachers, researchers, and public servants to apply for this special scholarship. This scholarship is intended for young (younger than 35 y.o.) 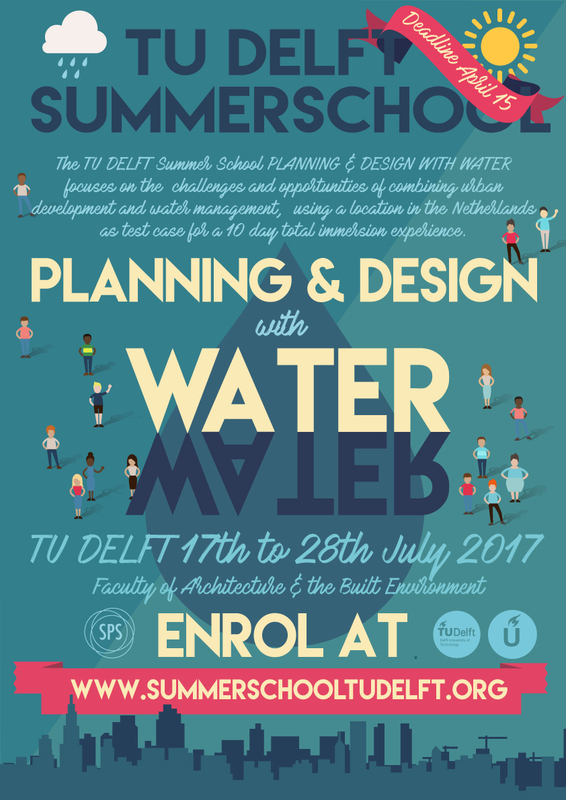 African teachers who wish to attend the Summer School Planning and Design with Water, organised yearly by the Department of Urbanism of the Faculty of Architecture and the Built Environment of the TU Delft. DEADLINE FOR APPLICATION: April 15th 2019. The decision to recruit a young teacher has to do with her/his capacity to act as a multiplier of knowledge acquired at the Summer School in her/his institution in Africa. We emphasise opportunities for young female African teachers. This scholarship also offers the opportunity to create more links with African higher education institutions for future research and educational partnerships. Be 35 years old or younger by December of the year of application. Be affiliated to a higher education or research institution, or to a local or national government. This scholarship is for young teachers or civil servants working with urban or regional planning. Be able to provide proof of affiliation (letter confirming you are affiliated to an institution or local government). Be able to speak fluent English. Be able to teach the principles learned at the Summer School at their institutions of origin (they must have a teaching or instructor position). Please read the conditions for this scholarship before applying, and make sure you are eligible. Write a 800 word motivation letter explaining your ideas and how you can benefit from the Summer School. This is a PERSONAL letter, so you should avoid using clichés and sentences that you find on model motivation letters. We are interested in you as a person and as a teacher. Prepare a two-page CV with your academic and professional information. Don’t forget to explain your activities as a teacher/ instructor, researcher or civil servant. Add a LETTER from another senior teacher or senior public servant from your institution confirming that you are affiliated and what is your role in the institution. This letter must be signed. Prepare a three minute VIDEO explaining who you are, what are your activities and how you think the Summer School can benefit you. Send materials in a zipped folder to summerschool-bk@tudelft.nl mentioning YOUNG AFRICAN TEACHER SCHOLARSHIP. Please use the website https://wetransfer.com to send the ZIP file. The scholarship covers costs up to 1600 euros. Candidates may choose to spend more or less in each item. In case there is excess spending, the candidate will cover the rest of the amount. TU Delft is not responsible for financing a candidate beyond 1600 euros. Upon completion of the programme, candidates will receive a certificate of their participation in the Summer School. Click HERE for a testimonial from Njabulo Ngcobo, from the School of Built Environment of the University of KwaZulu-Natal, South Africa, the first recipient of this scholarship.